Concentrate (5:1) containing high concentrations of IPA solvent-based formulations, can easily go to the dirt on the glass. May also drop the glass film. Good flies on the glass surface of the painting, can be easily removed. This powerful lighter glass cleaning agent, is free from injury wipers and painted components. 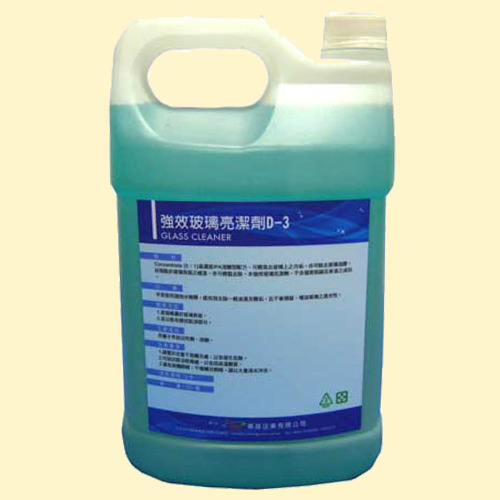 usually used diluted with water, can effectively remove grease stains and dirty dirt, and no residue, increased penetration of glass optical activity. 1. sprayed directly on the glass surface. 2. and wipe clean with a dry cloth. 1. the children away from, in order to avoid danger.